Remembering to take medication is vital for managing long term health conditions such as high blood pressure, type 2 diabetes, or multiple conditions. Latest research from the University of Cambridge suggests that using interactive voice response (IVR) technology supports patients to take their medicine as prescribed. During a pilot study, published today in the journal BMJ Open, seventeen patients received daily automated telephone calls for one month. All patients had high blood pressure and were recruited from GP practices in East of England. The calls were tailored to patients’ needs and provide them with advice and support about taking their prescribed medicines. The calls also asked a series of interactive questions and reacted to the patients’ answers. Please do not forget to take your tablets. To achieve better control over high blood pressure, you will need to take them every day. This is your message for your blood pressure tablets. One easy way to remember your tablets, is to take them with another daily activity, such as your morning cup of tea. If they are always done together, it will be harder to forget. Please keep taking your tablets as prescribed even if you are well and feeling healthy. High blood pressure is one of those things that unless you actually feel it you're not aware that it is a problem. Taking your medications as prescribed will support you to keep enjoying things or activities that are important to you. Whatever the day may holds, please do not forget to take your tablets. To achieve better control over high blood pressure, you will need to take them every day. The patients completed questionnaires at the beginning of the study and at follow up, and completed interviews to understand the impact of the service. The IVR application was developed by Simon Edwards, a Communications Specialist from the University Information Service telecoms team at Cambridge. “Many patients had previous, often negative, experiences with IVR technology, particularly from marketing schemes, so it was important for us to work closely with the research team to understand what patients really wanted,” said Edwards. All recruited patients completed the one-month intervention and follow up interviews. Patients reported that the intervention helped them overcome barriers to taking medications, such as being busy or having many medications to take. They also said it helped them understand the importance of taking medication itself. Even though the messages were automated, patients also valued the social aspect of the service – especially those patients with lower perceived social support. The IVR service also enabled patients to ask questions, which could be followed up by their doctor or practice nurse later. Patients also recognised it was likely to be more cost-effective to the NHS than a nurse calling them. The next stage of the work is currently underway. It includes both IVR and text messages and it’s being tested for efficacy in a randomised controlled trial with more than 100 patients recruited by GP practices. The trial is also collecting medical data, i.e. blood pressure and blood sugar, and will also look at the cost effectiveness of the system. The research was funded by the National Institute for Health Research (NIHR) under its School of Primary Care Research and the Research for Patient Benefit programme. Dr Katerina Kassavou began her career studying psychology at the University of Crete before moving to Cambridge in 2014. She is now part of the Behavioural Science Group at Cambridge, looking at how we can change people’s behaviours to improve their health. 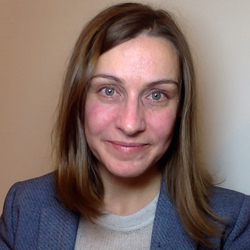 Katerina’s work is focused on developing, implementing and evaluating digital interventions to change behaviours related to health, such as using automated phone calls to encourage patients to take their medication. “I conduct my research in primary care, which is a challenging setting to try out new and innovative ideas, but probably the most fruitful place to implement and evaluate health behaviour change,” she says. A typical day for Katerina involves multiple tasks, including supervising other researchers, meetings with colleagues, liaising with GP practices, developing interventions and research procedures, analysing data, and disseminating research findings.